For many of us, religion plays a huge role in our lives. No matter the religion or denomination, worshiping and visiting sacred sites give us a chance to interact with something greater than ourselves. Pilgrimages to shrines, chapels, temples, or sites of religious significance are required if not strongly encouraged in most religions and if your heart and mind are calling to you, read on to discover some of the handpicked pilgrimage sites in America. Disclaimer: This list is by no means comprehensive considering the number of major religions and the plethora of sites around the country. 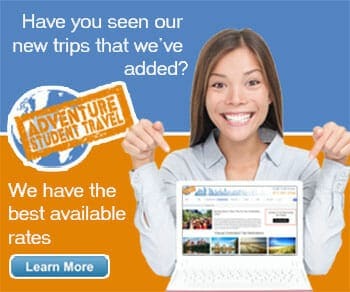 If you have another site in mind and would like it to be included, please feel free to comment below. The natural landscapes of the United States have played a large role in Native American religion. Sites like the Badlands of the Dakotas and the rock formations in the American southwest evoke awe and wonder, the Grand Canyon instills a feeling of insecurity and yet grandeur, the Devils Tower of Wyoming a trembling in the presence of something wondrous. There are man-made Native American sacred sites still in existence, such as the Bighorn Medicine Wheel in Wyoming and the various mound sites spread across the country (Cahokia Mounds in Collinsville, IL; Mount Royal Mounds, FL; Natchez Mounds, LA, etc.) grant us a physical look into the lives and culture of the early Americans and glimpse their beliefs. Those visiting Hawaii might like a guided tour of Mount Kilauea, said to be the birthplace of the volcanic goddess Pele. While nature is sacred, oftentimes our religious sites are handcrafted by believers to reflect the heartfelt fervor of their faith. Christianity is the largest and most populous religion in the United States. Both Catholics and Protestants have made their mark through chapels, cathedrals, monasteries and convents, basilicas and churches that have lasted centuries. The amazing age of some of these sites only shows the lasting strength of the faith in America, the freedom of religion sought after by the first colonists and pilgrims. Now it's your turn to be the pilgrim. Since the dawn of the United States, Protestantism has been the largest religion. Starting with the Puritans in the original thirteen colonies, this Christian faith held together communities through the good and bad and has grown to involve roughly nine major denominations. Some of the most significant Protestant pilgrimage sites include Old North Church in Boston, Trinity Church in New York City, and the Old Scotch Church near Hillsboro, Oregon. The Old Quaker Meetinghouse in Flushing, New York, is one of the oldest buildings as well as one of the oldest religious sites in the country, having first opened in 1694. Of course, not all of the sacred Protestant-based sites are centuries old, some of them are relatively new in comparison. For example, the Mormon Temple Square in Salt Lake City is one of the most visited religious complexes in the nation as well as the mother church of the Latter Day Saints. And though Protestantism may have once been the leader of faiths in America, Catholicism in the U.S. has grown to rival its Christian sister-faith in statistics. Hundreds of shrines, grottos, and other sacred sites are spread over the states but technically, Catholicism in America began officially in Baltimore. Though other sites predate the Baltimore Basilica, which was built in 1821, none of them were included in the incorporated states at the time. This basilica is a stunning example of perseverance, of a strength of character and faith to withstand persecution and fight for the right to worship. Also, the Basilica of the National Shrine in Washington, D.C., though it is not nearly so old, is historic and comprehensive with a massive museum and a number of shrines within the buildings. But holy places aren't always contained within building walls, as we know. Shrines like the National Shrine of St. Francis of Assisi in San Francisco or the National Shrine of St. Therese outside Chicago play wonderfully important roles in a Catholic's life and faith. Other significant Catholic sites include the Chapel of the Holy Cross in Sedona, Arizona, the Crystal Cathedral in Garden Grove, Florida, St. Paul Cathedral of Boston, and the Cathedral of St. Paul in Minnesota. Americans, however, are not limited by religion and are free to choose whatever they want to be, worship whoever they want to worship, and live wherever they want to live. This beautiful freedom gives us a wonderful diversity of faiths and so a full range of pilgrimage sites on a global scale. Many traditionally eastern religions such as Hinduism and Buddhism have migrated to the United States at sites such as the Hua Zang Si Temple in San Francisco. This Buddhist temple is striking with its red exterior, tall almost Gothic appearance, and history as a former Evangelical Lutheran Church. The Baha'i House of Worship, outside of Chicago, is exceptional as the oldest surviving Baha'i temple and the only one in the United States. A relatively small practicing religion, Baha'i focuses on the spiritual unity of all humankind. This peace of connection, of belonging, make visits to the stunning religious complex in Illinois a spiritual treat as it connects those of all beliefs under the unity of the one God, as they teach. Of course, we are still missing two major world religions. Judaism and Islam in the United States may make up a relatively small percentage of Americana but they are extremely devoted and their religious sites are historic as well as meaningful. In New York you'll find Jewish sites such as the Temple Emanu-El and the Eldridge Street Synagogue as well as Angel Oresanz Center, the oldest synagogue center still standing in New York state. 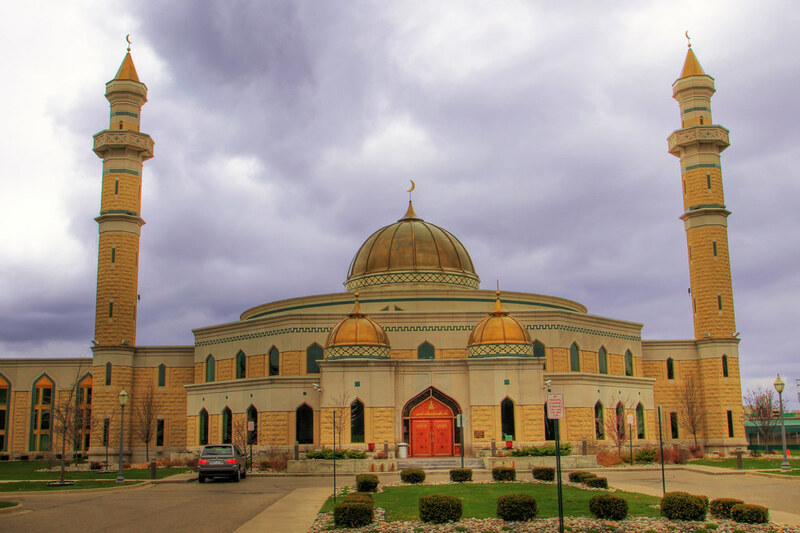 Islam in America can also be traced back centuries to 1731 or earlier though the largest congregation resides in Dearborn, Michigan, at the Islamic Center of America. Although it isn't an old building, having opened in 1963, the elaborate mosque offers guided and self-guided tours of the building weekly and opens its doors to visiting worshipers. Other notable mosques include the Islamic Society of New Tampa in Thonotosassa, Florida, the Islamic Center of Raleigh in North Carolina, and the Islamic Center in Pittsburgh. There is no limit to what is considered sacred. Explore the United States on your own trip and discover meaning through connection, peace, and faith.